Your health and well-being are extremely important to us. As healthcare professionals, we’re dedicated to helping you meet your rehabilitation goals. 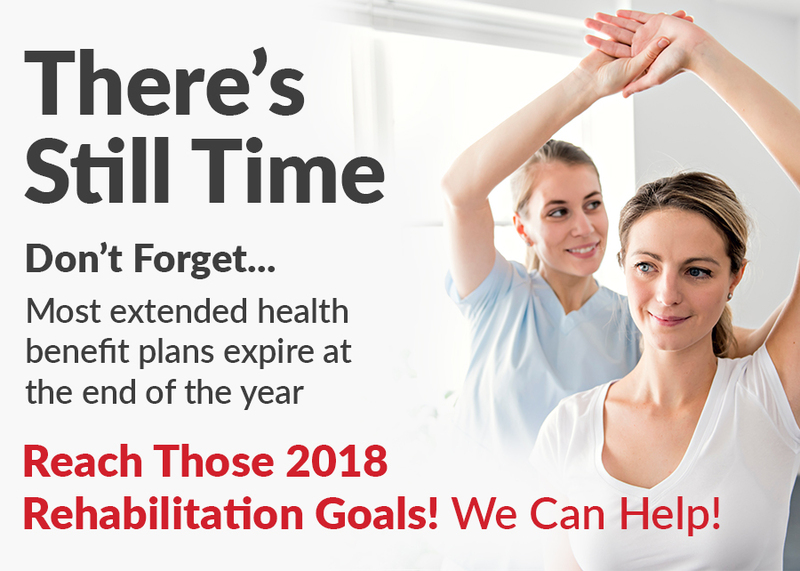 If you haven’t reached your 2018 goals, and you have extended health benefits that you’d like to access, please contact us to complete your treatment journey. We’re happy to help you figure out how much coverage you have left.